I have replaced most of the incandescent light bulbs on Otus with LED light bulbs. This has been sort of interesting but more than anything it reduces the load on Otus’ meager, by today’s standards anyway, charging system. I don’t really need to re-task the system to power heated gear or anything like that – I just wanted to do this because I wanted to do this. I’ve written about some of this in various posts but here’s a summary for any of you looking for a single list of goodies to buy for your Airhead. In 2015 I went on a two week ride to Paonia, CO and Billings MT for the annual BMWMOA rally. 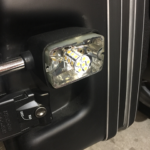 When we made it to Billings I looked for an LED replacement for the stock incandescent H4 headlight bulb. 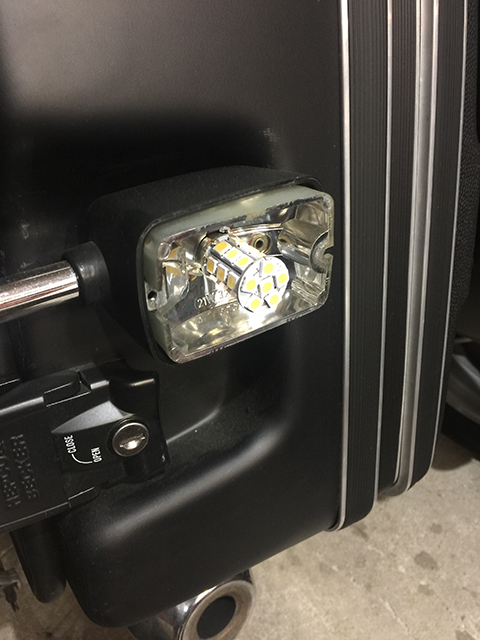 I selected the Cyclops 3800 Lumen H4 LED headlight bulb. This headlight has proven to be worth the price as it improves visibility a great deal for night rides. It also makes me annoyingly visible to oncoming motorists. I was so happy with this conversion that I installed the same bulb in Strix. I may have found one of these but it has been taking weeks to ship from… somewhere. I imagine it’s being made from spun unicorn hair or something similarly ridiculous. I’ll know how this works when I receive it. This is perhaps the neatest part of the LED upgrades. Advertised as “Modern solid state LED lighting for for BMW R bike motorcycle gauges” the KATDASH system is just that. With this kit I no longer need to futz with tiny incandescent bulbs mounted in a flexible circuit board. Oh, and I can actually see what the gauges are telling me. If you own and Airhead this is a must-have upgrade. Even though Otus is a 1977 R100/7 I ended up needing to order the Slash 6 kit. The web site describes how to select the correct kit and the instructions were well done. The upgrade took minutes and the results are great! I liked it so much I wrote a post about it! This is still a work in progress. I purchased 4 LED bulbs billed as 1156 replacements. I installed the first pair in the back and they worked great. I installed the second pair in the front and none of the turn signal lights work. I reinstalled the original incandescent bulbs in the front and the turn signals work again. The relay needs resistance from the incandescent bulbs to work so I’m still running incandescent bulbs in the front turn signal pods so there is resistance. I’m looking for LED bulbs that will address this problem and will provide an update when I get this properly sorted. Much like the instrument cluster solution, the brake light solution was also simple and elegant. I chose the Motorrad Elektrik Beacon 1 kit. Like the solid state dash kit, a Beacon tail light kit is a must-have for any Airhead. Like the LED headlight, this tail light screams for, and gets, the attention it deserves. Installation was genuinely plug and play and it just works. I did try a single LED bulb before buying the Beacon kit but like the turn signals, the single LED didn’t work when I applied the brakes. The Beacon works. Get one!